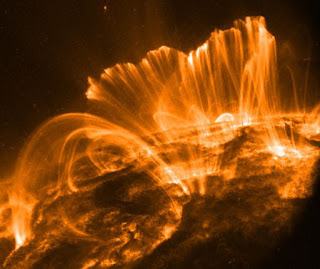 2012 should mark the beginning of a series of solar storms. The Earth has never see solar storms this large. It is supposed to knock out all communication equipment, and knock out the power. The Earth's magnetosphere has a huge hole in it. 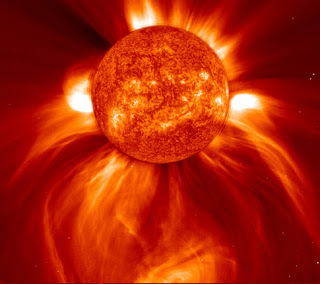 This is what protects the Earth from the Sun's radiation, and other radiation from space. Scientists and Nasa are well aware of this problem. The solution is a little more difficult. Do the elites of the world already know about this? They have a huge bunker, where they are making a modern day Noah's Ark, except they aren't putting animals inside...They are stocking it with every known vegetable and fruit that they can think of, and not the plants mind you, its a huge Seed Vault. So that when the Earth has been destroyed a certain few, would have been in under ground bunkers, and have all the essential tools to rebuild and survive. This is what the government doesn't want you to know. Dude really who made you the authority on all things that be, if you don't like my blog, visit another one, but i published your comments just so that i could tell you 1 thing. At least i have the balls to publish some of this stuff...Mainstream won't even talk about it...But you keep checking my spelling and going over my dates....and asking for evidence. Your attempts to belittle me are useless. this is a excellent post men, you know that maybe we can't read to that year. Do reptilians and planet x really exist? The lost city of Atlantis, is it really lost? Is there a real stargate?